SMi Reports: An exclusive interview with Anita Burrell, Founder & CEO at Anita Burrell Consulting and speaker at this year’s 5th annual Biosimilars USA conference, is now available to download on the event website. SMi Group recently caught up with expert speaker Anita Burrell, Founder & CEO at Anita Burrell Consulting, in the run up to the conference on Biosimilars USA conference, taking place in Iselin, NJ, USA on November, 14 and 15. Anita Burrell is a dynamic, passionate and infectiously enthusiastic consultant focused on improving patient outcomes through pharmaceutical innovation. She is also an adjunct assistant professor at Rutgers University and a regular speaker in the industry on health economics, market access and mHealth. Anita has 23 years of leadership experience in the pharmaceutical industry in a wide variety of roles and geographies. As the Global Project Lead for Aubagio, the oral MS therapy from Genzyme, she was able to bring Aubagio to market over eight months ahead of schedule becoming the second oral therapy to market in the USA and EU. Aubagio is the fastest growing MS product in the US and the #1 product in the Genzyme/Sanofi portfolio with revenue of €1.6B in 2017. What is your area of expertise within the Biosimilars field and why are you supporting the Biosimilars USA conference for 2018? My background is in value demonstration, mainly for innovative pharmaceuticals, but I became interested in the biosimilar field when I was asked a very provocative question, “Do you think that biosimilars need to have Real World Evidence?”. Given that I have a lot of experience in collecting and using RWE for pharmaceuticals I wanted to explore the question in detail and this led to a series of articles that I wrote to explore the topic. I wanted to bring this subject to the conference for the attendees, firstly as an exploration of my findings and then to continue the discussion around this topic. What do you see as the greatest hurdle/ challenge to overcome in the Biosimilars field within the US market? Acceptance of biosimilars in the USA has been a major issue in delivering the promise of creating financial and budgetary headroom for drugs. Market access depends on acceptance at all levels of the healthcare system, patients, physicians as well as payers and the reasons for the slower uptake can be tracked to regulatory, judicial and stakeholder reluctance. For me the main challenge for biosimilars in the US market will be dealing with these issues so that we can realize the benefits of these products and enhance the efficiency of the healthcare system in those areas where biosimilars can play a role. What do you think could be and should be done to address this? 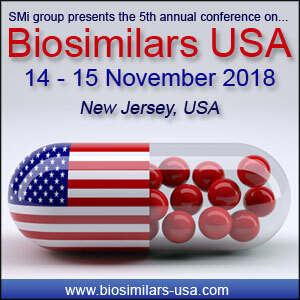 This year’s Biosimilars USA conference will provide delegates with the opportunity to hear from a selection of in-depth keynote addresses and case studies presented by top manufacturing and leading distributors of market-approved biosimilars, as they offer a unique insight into the areas of manufacturing, commercialization, device design, uptake, switching, interchangeability, and regulations.